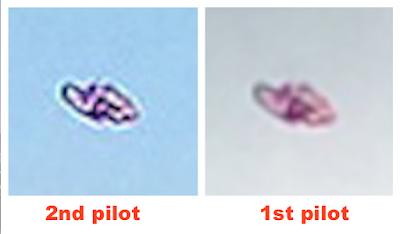 UFO SIGHTINGS DAILY: 2nd Sighting Of Red UFO Over Nevada County, California May 2015, UFO Sighting News. 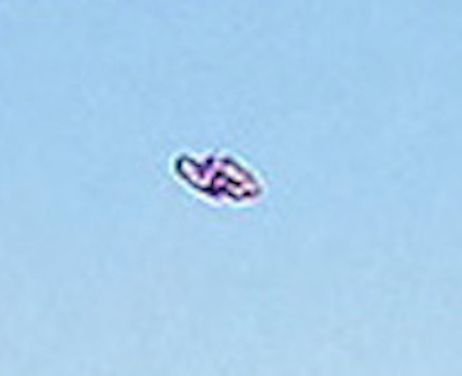 2nd Sighting Of Red UFO Over Nevada County, California May 2015, UFO Sighting News. This is unusual, a second photo from another pilot, but from an ultralight. I searched and yes, there are ultralight pilots in that area. The photo looks similar to the first, and the detail is almost the same, however on the UFO you can see that it looks like it has more light reflecting on it. The object appears to be facing the pilots both times. We see the same side of the UFO looking at them. The tilt is normal. The tilt is necessary for the propulsion to move it (i.e. Bob Lazar). Nevada County, CA — Another pilot has come forward with photograph revealing a second Unidentified Flying Object or UFO over Nevada County. The pilot of the ultralight aircraft, who had traveled from his hometown of Lodi, CA to visit his Grass Valley girlfriend, snapped this exclusive shot of what appears to be the same red flying object over rural Nevada County. “I was on my approach to the Nevada County Air Park,” said the ultralight pilot who chose to remain anonymous, “when out of the corner of my eye, I spotted this red speck. So I maneuvered my craft about to get a better look at it. It was moving so fast up and down. I’ve never seen anything move like that. I managed to get one picture of it with my iPhone before it disappeared straight up. The aircraft is similar to one spotted over Scotts Flat Lake late last week by the pilot of a Cessna 172 based out of Nevada County. That unidentified object appeared to be siphoning large quantities of water out of the lake before also disappearing straight up. This particular UFO did not seem to be doing anything other than flying around erratically fast. 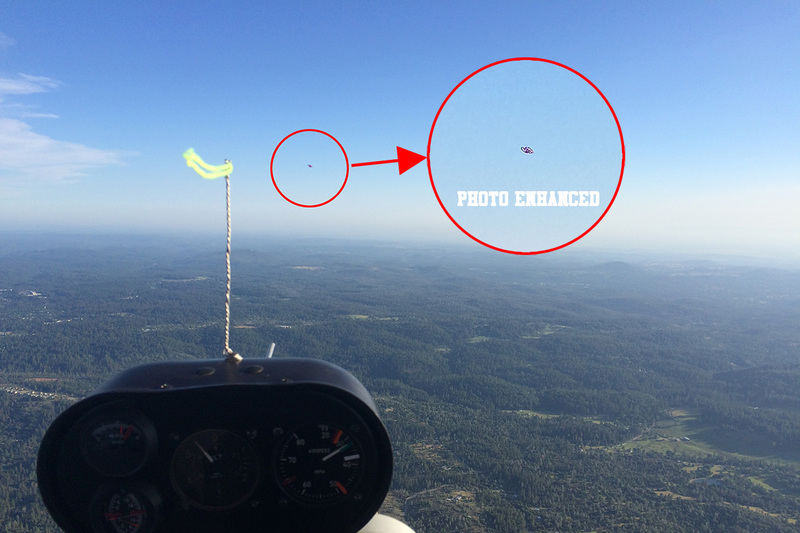 The unidentified aircraft spotted over Scotts Flat Lake earlier this week.